Through the Life Without Limits System, women receive support during their transition and are able to reclaim their true purpose and strengths. They receive the tools they need to map out their new lives. You can find out more about her coaching programs here. 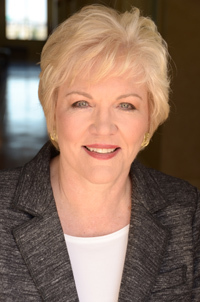 Her weekly podcast, SecondWind with Joyce Buford, facilitates her listeners to find support in the growing community of over 1 million women, who have conquered some life-changing transitions. To find out more about the podcast click here. Professional and Social Organizations as well as Corporations request Joyce to provide motivation, inspiration and encouragement to their audiences around the world through live trainings, telesminars and events. To learn more about booking Joyce for your next event click here. She is the bestselling author of the book, Effortless Happiness: How to Find Your Voice and Finally Ask for What You Really Want. Joyce is a proud mother of Lauren and Christopher. She is a proud dog mama to Moo. Music, travel and learning make her happy and feel fulfilled. 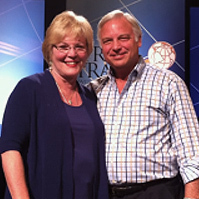 Mentored by Jack Canfield of the Chicken Soup Book Series while being trained and later assisting in training programs. Ready to start living life without limits?